Thank you in advance for your assistance in making this one of our best events ever! 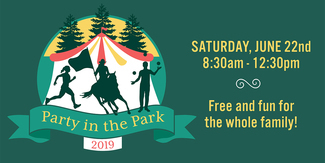 Please sign up for one or more shifts for Party in the Park on Saturday June 22rd, 2019 at Bridle Trails State Park. Clubs/Schools/Organizations will receive credit for volunteer hours from the Bridle Trails Park Foundation. Hand out water and cheer on the runners along the power lines. Need enthusiastic volunteers!